Fear of judgment is the basis for social anxiety. When others view us in a negative light, there may be harmful consequences such as loss of social status, conflict and rejection. The fear of judgment is an innate instinct. 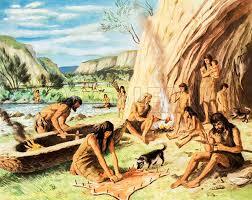 Primitive humans learned that socially unacceptable behavior led to being kicked out of the tribe. Rejection from the group exposed the individual to dangerous animals or rival tribes. The ability to obtain shelter and adequate food and water is diminished when existing alone. Those who disregarded prosocial behavior were banished from the tribe and likely faced premature death. Judgment helps us be kind and helpful to one another. Society needs humans to obey rules and conform to socially acceptable behaviors. Without prosocial behavior, civilized society would become chaotic and likely cease to exist. The fear of judgment leads to prosocial behavior. The fear of being evaluated by the tribe as selfish and uncooperative motivates behaviors that ultimately sustain civilized society. In light of these arguments, fear of judgment from others can serve to keep us on the straight-and-narrow. Fear of negative evaluation is justified when it keeps us alive and society somewhat civilized. However, present day humans fear judgment in ways that extend beyond these arguments – perhaps unnecessarily. Beliefs related to being boring, awkward or uninteresting are common judgments that people with social anxiety fear from those they interact with. “My classmates will laugh at me if I say something stupid in class discussion.” “My co-workers will think I’m boring if I say nothing at the lunch table.” “My boss will think she made a bad hiring decision if I blank out in our stand-up meeting.” Judgments are conclusions made from the information on hand at that moment in time. All people form conclusions or judgments of others, to some extent. It’s unreasonable to expect that all people will have non-judgmental opinions of us. It’s impossible to be judged favorably by all. Accept that judgment is part of the human condition. By acknowledging that judgment between people happens, we become less disturbed by what it means to think we’re being judged. 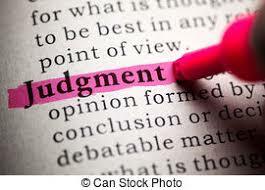 Be mindful of our judgments of others. We can change the language used to describe observations. Use neutral, descriptive words when drawing conclusions. Not all judgment leads to rejection. It may not be an all-or-nothing proposition. Others may see some of our weaknesses but still want us to be part of their tribe. Practice prosocial behavior. 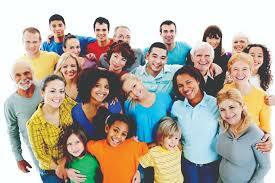 Be helpful, share, cooperate and offer to help, provided we’re not sacrificing our value and needs. Society needs all types of people to function efficiently. Our uniqueness is a strength, even if it’s not valued in the same way by all. Find the tribe that values you. The fear of judgment serves an important function by shaping our behavior in ways that benefit society. Taken to the extreme, however, it disconnects us from the people we need to be happy, healthy, and productive. Accepting that judgment is part of life can take the sting out of rejection. This entry was posted in Anxiety, Blog, Cognitive Behavior Therapy, Judgment, Self Esteem, Social Anxiety, Uncategorized and tagged CBT, cognitive-behavioral therapy, self esteem, social anxiety counseling, social anxiety disorder, social anxiety san francisco, social anxiety therapy, social phobia. Bookmark the permalink.